Hello again! 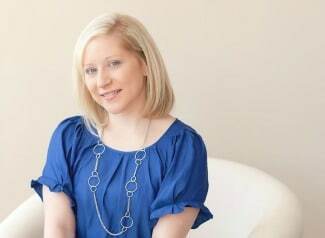 I’m Michele from Sweet Threads Clothing Co. 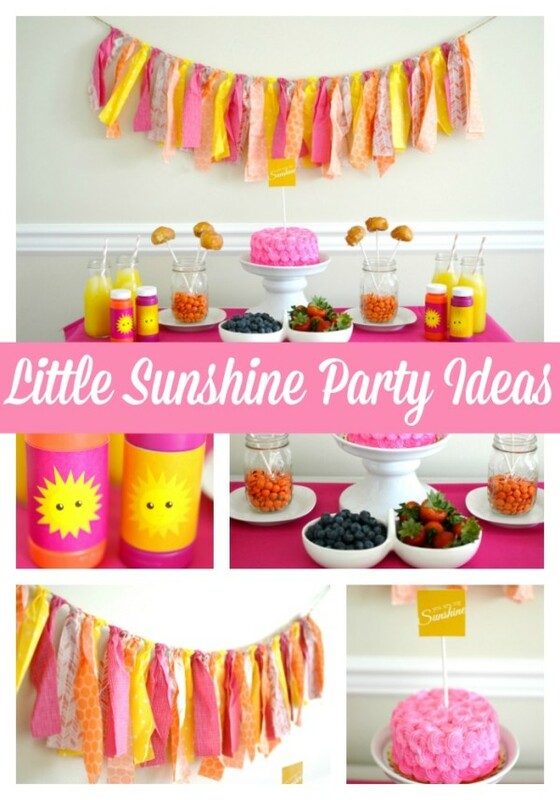 This adorable Girly Sunshine Party Theme is perfect for a small party or play date! 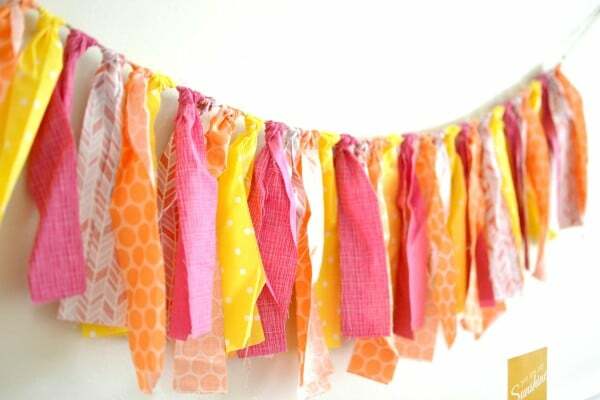 Simple, colorful and bright details made this party both fun and adorable! 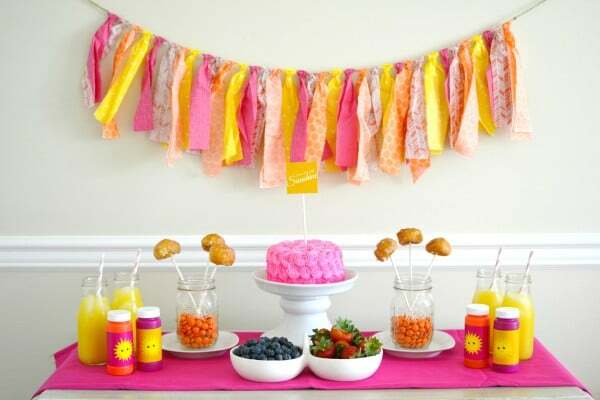 What sweeter way to celebrate a birthday than with a bright and cheery brunch for a little ray of sunshine! A fabric garland from Lilly Paul Designs made the whole table pop with sunshine and was the perfect backdrop for our brunch table. 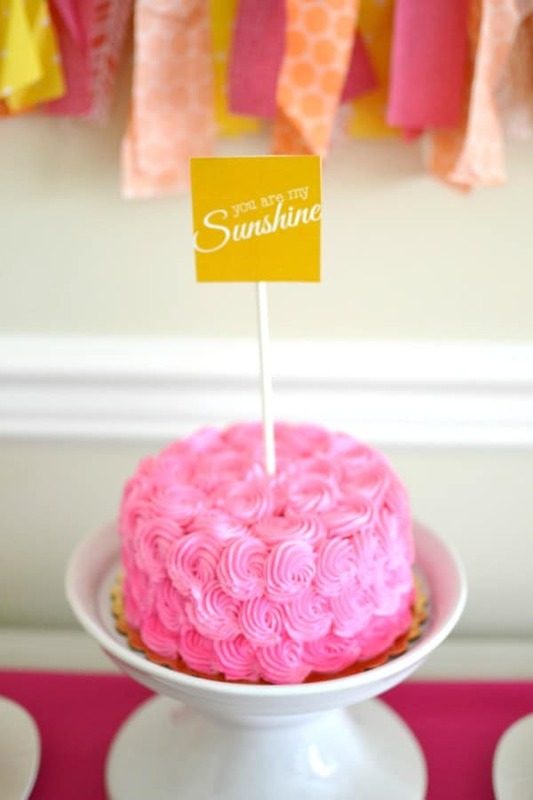 The centerpiece was a bright pink mini rosette cake topped with a custom printable from Pamela Smerker Designs. 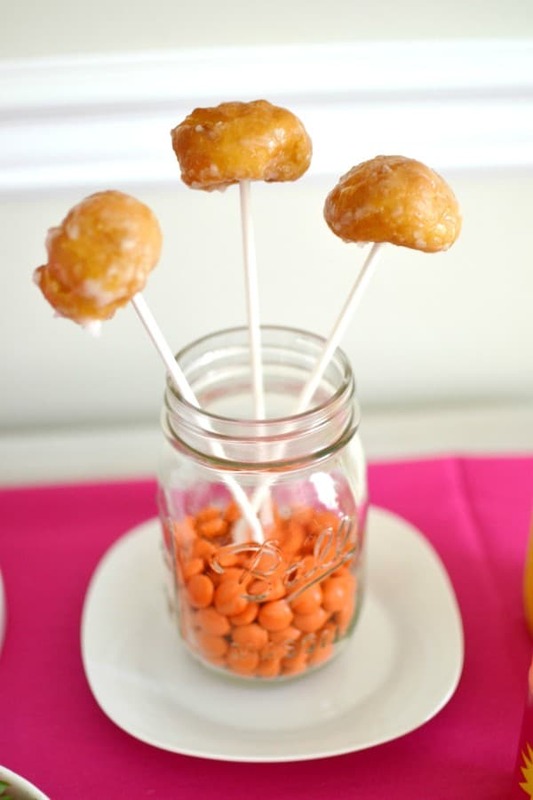 Guests snacked on donut holes and fruit and fresh squeezed orange juice. 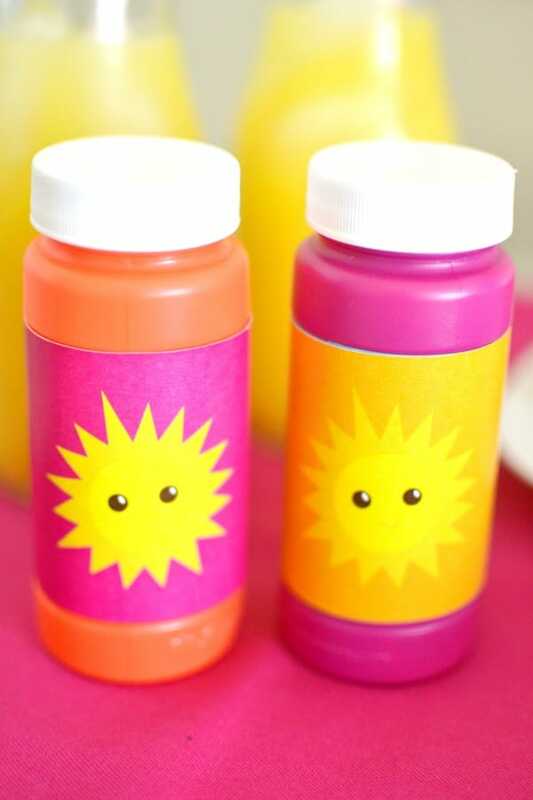 Our little guests went home with simple party favors of mini bubbles. 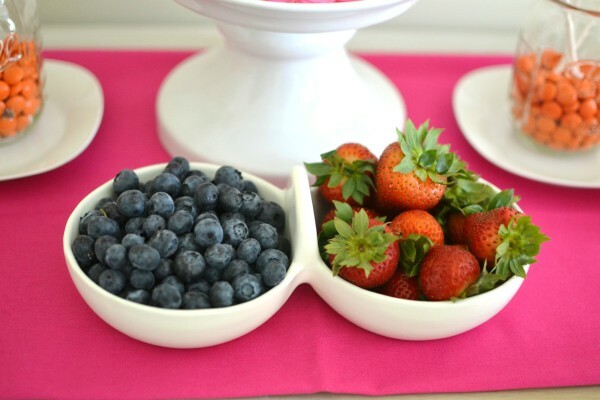 It was the perfect set up for an intimate birthday play date with close friends. 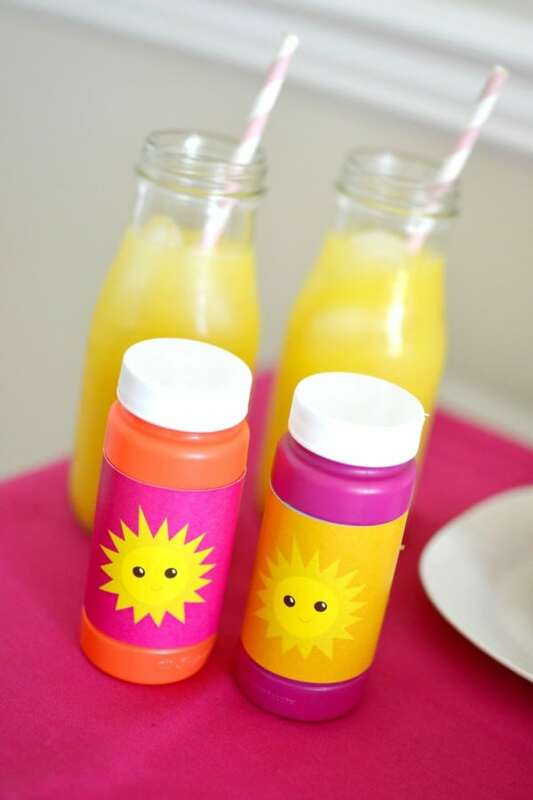 Plan the perfect Little Sunshine Party with these party products that are hand-picked by our editors! 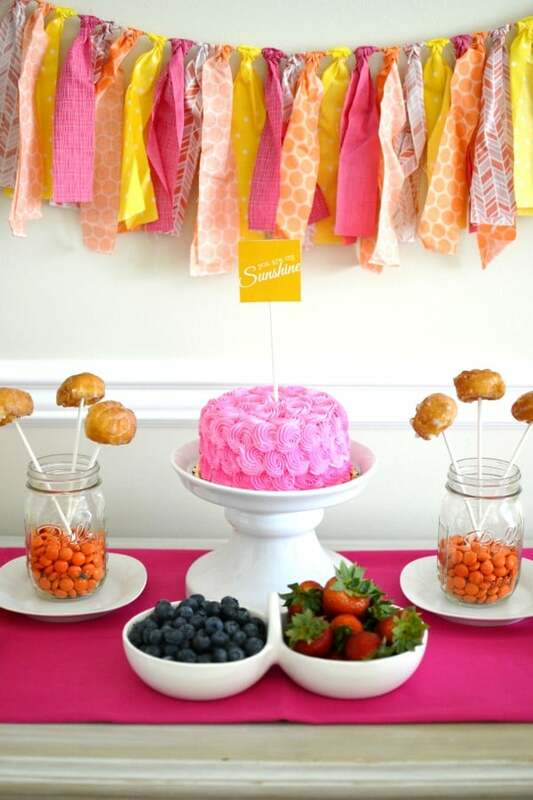 Check out these other pretty party features on Pretty My Party!